The federal government has delivered its memo regarding measures it will take to conform to a recent court ruling that ordered an end to three night flight routes above Brussels. The Capital-Region’s environment minister has expressed disappointment with the communication, which she said “would fit on a post-it”. A Brussels court decided last July that flights out of Brussels Airport that use three routes above the capital must cease between 23.00 and 7.00. The decision supported noise nuisance laws that the Brussels-Capital Region passed in 2016. Those laws, however, were controversial as they interrupted flight patterns out of the airport and would have forced aircraft to fly over parts of Flanders instead. The Flemish region filed conflict of interest complaints, which brought any measures to cancel the night flights to a standstill. 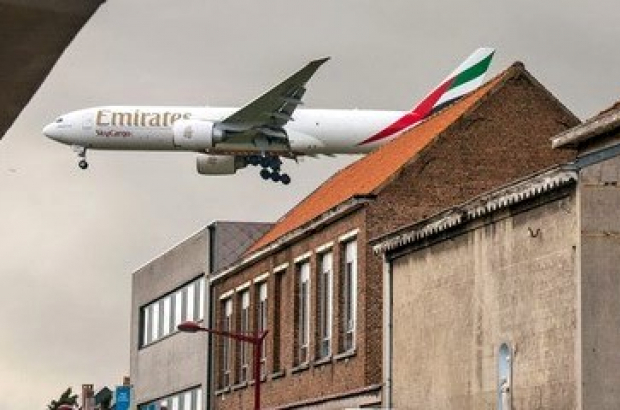 The Brussels region took the matter to court, insisting that the federal government implement the necessary changes at Brussels Airport to conform to the noise nuisance laws. Although the court did not rule in the region’s favour in other areas – such as starting the official “night” period much earlier than 23.00 – it did rule in favour of a ban on night flights over three routes, mostly affecting Schaerbeek and the city of Zaventem, where the airport is located. The ruling came down in July, and the federal government was given four months to deliver its intentions to the Brussels region. It was also ordered to carry out a study into noise nuisance caused by operations at Brussels Airport, and into possible alternatives. The official communication was received by Brussels environment minister Céline Fremault (CDH) last Friday. She told Le Soir that federal mobility minister François Bellot has made no suggestions for short-term or concrete measures. Fremault said she would now contact various parties to discuss the next step. “There are options, such as going back to court and demanding an arbitration,” she said.